Tests require a special kind of savvy, a kind of critical thinking and knowledge application that is not always a part of classroom reading experiences. Who better to teach you how to prepare your students for reading tests than someone who has written them? Charles Fuhrken has spent years working with several major testing companies and contributing to the reading assessments of various testing programs. What he's learned about testing can help teachers who are interested in teaching effective reading strategies as well as preparing students for reading tests. 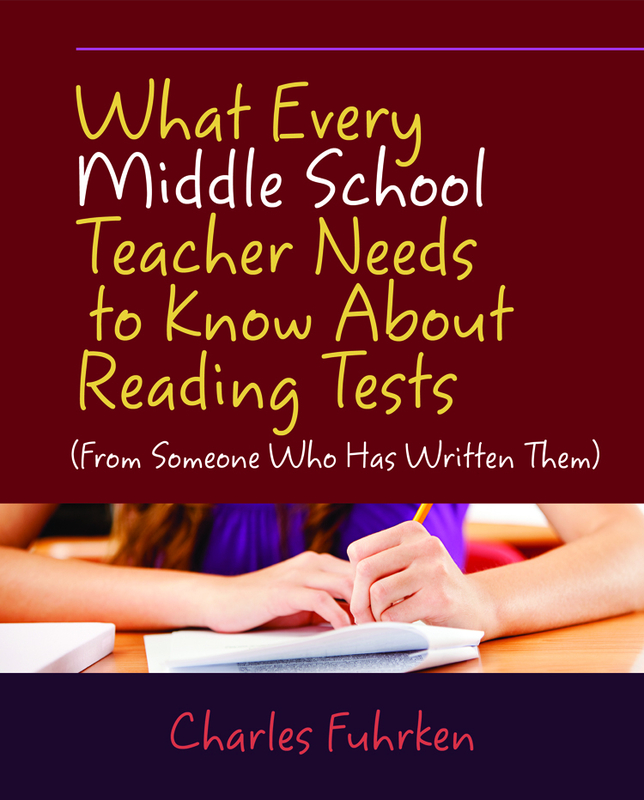 What Every Middle School Teacher Needs to Know About Reading Tests (From Someone Who Has Written Them) offers extensive, practical strategies to help students perform well on test day. This ready-to-use, easy-to-understand resource provides a wealth of information about reading tests, including high-quality preparation materials, samples of the most frequently assessed reading standards, and engaging core-reading activities. Charles takes the mystery out of reading tests; he explains how students can learn the language of tests and apply their knowledge of reading to standardized tests. In addition to providing information about reading tests that will help students feel prepared and confident on test day, What Every Middle School Teacher Needs to Know About Reading Tests provides a wealth of resources that can be incorporated into a teacher's everyday reading work, including vocabulary development, literary techniques, interpretation, comprehension, and more. Growing up in a small town in Texas, Charles knew early on that he wanted a career in education. When his parents bought him a monstrous chalkboard one year, he officially opened a school in his bedroom. His regular students were the three Linebarger girls who lived next door.